look at here now http://rogersmusicpromotions.com/activity/p/965/ William Arthur Shomo was born in Jeannette, Pennsylvania on May 30, 1918. He was working as a mortician when he volunteered and enlisted in the United States Army Air Corps as an aviation cadet. He completed his flight instruction and earned both his pilot’s wings and an officer’s commission. Shomo flew reconnaissance aircraft in the Pacific theater against the Japanese. On January 11, 1945 as a member of the United States Army Air Forces‘ 82nd Tactical Reconnaissance Squadron in the 71st Reconnaissance Group, Shomo and his wingman flying a recon version of the North American P-51 Mustang encountered thirteen enemy planes in one formation on a mission of Luzon in the Philippines. Even though they were outnumbered by more than six-to-one, the pair attacked. 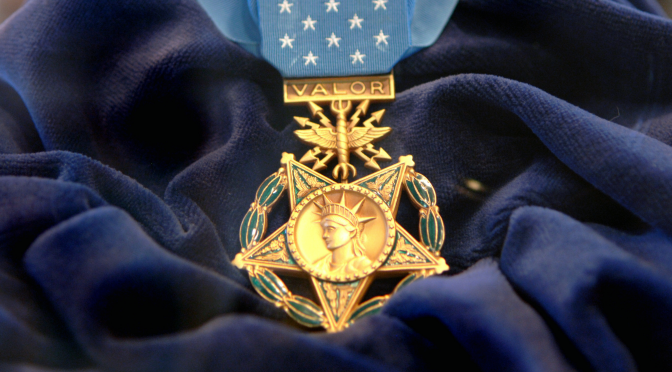 Ten of the enemy were destroyed in the action, seven of them by Shomo himself in a flight deemed worthy of the Medal of Honor. Citation: For conspicuous gallantry and intrepidity at the risk of his life above and beyond the call of duty. Maj. Shomo was lead pilot of a flight of 2 fighter planes charged with an armed photographic and strafing mission against the Aparri and Laoag airdromes. While en route to the objective, he observed an enemy twin engine bomber, protected by 12 fighters, flying about 2,500 feet above him and in the opposite direction Although the odds were 13 to 2, Maj. Shomo immediately ordered an attack. Accompanied by his wingman he closed on the enemy formation in a climbing turn and scored hits on the leading plane of the third element, which exploded in midair. Maj. Shomo then attacked the second element from the left side of the formation and shot another fighter down in flames. When the enemy formed for Counterattack, Maj. Shomo moved to the other side of the formation and hit a third fighter which exploded and fell. Diving below the bomber he put a burst into its underside and it crashed and burned. Pulling up from this pass he encountered a fifth plane firing head on and destroyed it. 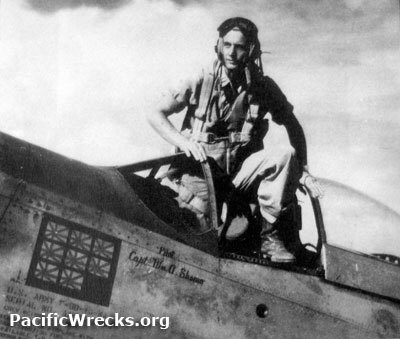 He next dived upon the first element and shot down the lead plane; then diving to 300 feet in pursuit of another fighter he caught it with his initial burst and it crashed in flames. During this action his wingman had shot down 3 planes, while the 3 remaining enemy fighters had fled into a cloudbank and escaped. Maj. Shomo’s extraordinary gallantry and intrepidity in attacking such a far superior force and destroying 7 enemy aircraft in one action is unparalleled in the southwest Pacific area. Shomo remained in the service after the war and transitioned to the United States Air Force when it was founded on September 18, 1947. He retired as a Lieutenant Colonel in 1961 after twenty years of service. Shoup passed away on June 25, 1990 and rests in peace in the Saint Clair Cemetery in Greensburg, Pennsylvania. Descendants of both of Shomo’s units are still active today. The 82nd Reconnaissance Squadron currently flies the RC-135 from Kadena Air Base in Japan. The 71st Operations Group is the flying arm of the 71st Flying Training Wing at Vance Air Force Base in Oklahoma.